Blow Molded Products cases are durable, attractive, reusable, versatile, recyclable and affordable. Manufactured using high density polyethylene plastic, the double wall construction offers unbeatable product protection. Blow Molded Products carrying cases are lightweight, compact, will not rust– and are chemical resistant. A Blow Molded Products case is sure to add value to your product and added product identity. All this at a price that can’t be beat! In addition to all of the cases that Ameripack stocks, we can customize a case for you with any interior or exterior design, or create a new blow molded case fit just for your part. Ameripack can create a semi-custom or custom case to match your requirements. 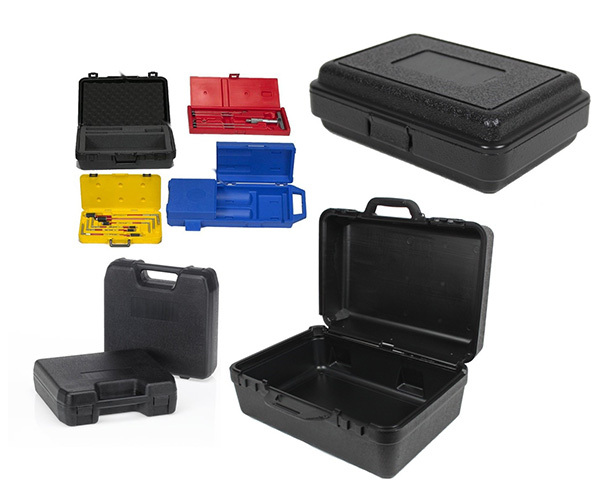 Ameripack is a leading distributor of the Blow Molded Products line of carrying cases and we can customize any of these cases to meet your needs.